One thing after another falls in to place. There’s now an official Facebook Fan Page up and running for The Great Collision, as well as an official YouTube channel, featuring some live footage from the recent Tucson show at the Rialto Theatre. Your ‘likes’ and ‘subscribes’ are truly appreciated. I’ve got upcoming shows where I will be performing ‘The Great Collision’ material for the first time on the east coast, with a full band. (FYI the shows are billed at both venues as Ryan David Green). The artwork is done, the music is done, mixing and mastering are done. 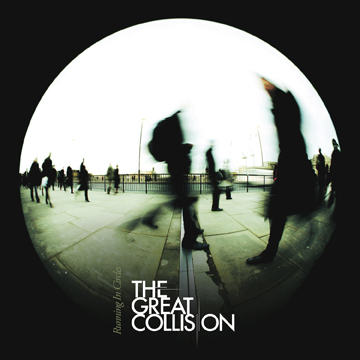 As of today, The Great Collision’s debut album is finished! It’s been a wonderful experience, pushing boundaries and limits, and it feels like anything is possible. I’ll be sharing this music with you soon. But first, I’m going to do some adventuring, as I attempt to find this music’s rightful place in the universe. Music Without Labels visited us in the studio and did a profile on the making of the new album. Check it out!